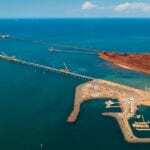 Rio Tinto has declared force majeure on some of its iron ore customers after a fire broke out at its Cape Lambert export facility last week. The January 10 fire has caused damage to a section of the Robe River screen facility that separates Robe Valley lump and fine products. A Rio Tinto spokesperson said the fire had not affected the shipping of all other Pilbara iron ore products. “Rio Tinto is assessing the full impact of the damage and will do all it can to try and minimise disruption to our customers,” the spokesperson said. The iron ore major’s share of Robe Valley lump and fines production was 8.7 million tonnes in the first half of 2018. In 2017, the Robe Valley mine produced over 31 million tonnes of iron ore.
Force majeure is a clause in a contract that allows contracting parties not to fulfill their contractual obligations for causes that were not anticipated or beyond their control. 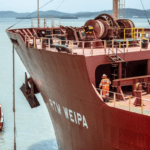 The Cape Lambert port is a joint venture between Rio Tinto (53 per cent), Mitsui (33 per cent) and Nippon Steel & Sumitomo Metal Corporation (14 per cent). 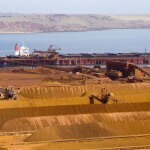 It has a capacity of 205 million tonnes per year.